If your heart croons for something smart, chic and beautiful, this is it! 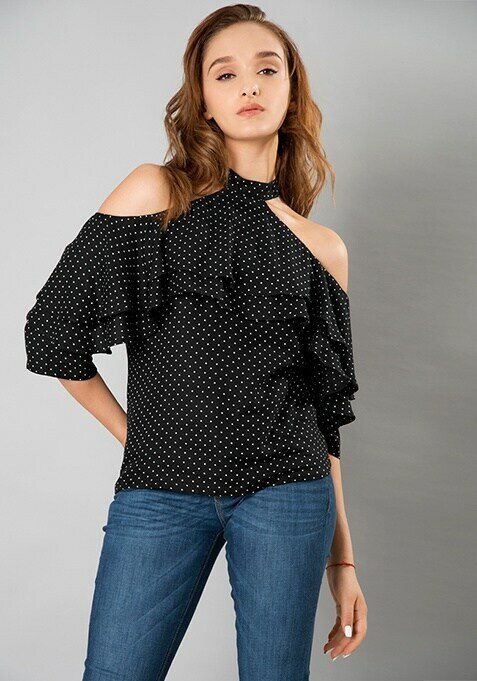 Enriched with on-trend ruffle details and polka dot print, this Ruffled Cold Shoulder Top is a closet staple. Work It- Complement it with ripped jeans and high heel sandals.